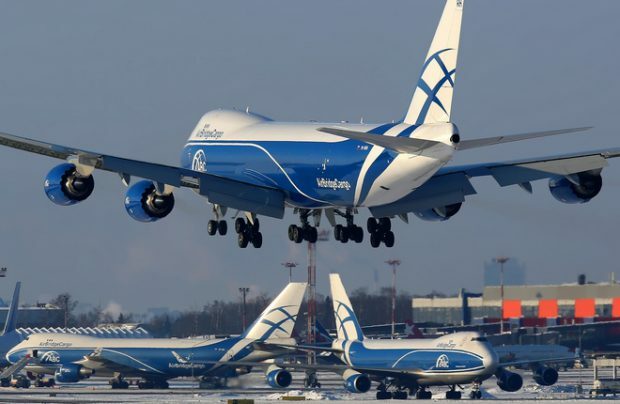 Russia’s largest airfreight carrier AirBridgeCargo Airlines (ABC), which is part of the Volga-Dnepr group, saw its total volumes increase by two per cent only in 2018, exceeding 700,000 tonnes across its growing international route network. The increase is attributed to the introduction of new destinations, notably Ho Chi Minh City, Shenzhen, Budapest and Columbus. On top of this, a more effective fleet utilisation and team strengthening facilitated the company’s growth, the Moscow-based airline states. ABC, which perceives itself as a carrier with dedicated airlift for a range of special cargoes, increased its volumes of special commodities by more than 25 per cent in 2018. The better alignment of internal processes, the introduction of digital solutions and the reinforcement of ABC’s global team all helped to boost pharmaceuticals shipment volumes by more than 60 per cent year-on-year, while dangerous goods shipments rose by 40 per cent. Demand for outsized and heavy cargoes increased by more than 20 per cent on 2017, whilst e-commerce goods delivered by AirBridgeCargo was up by six per cent. The company expects this shipments growth trajectory to continue this year. “2019 will be an exceptional year for ABC – the year of our 15th anniversary – and we are delighted to achieve another company milestone supported by these consistent results of 2018. New challenges are ahead of us, but that’s what makes the air cargo industry an exciting place to be,” asserts Sergey Lazarev, general director of AirBridgeCargo Airlines. One of the main areas for further progress this year lies in the development of digital front-end solutions, with AirBridgeCargo committed to creating a more customer-friendly digital environment. This starts with the implementation of new equipment to improve the constant monitoring of a cargo’s condition during transit, such as employing temperature loggers, shock sensors, and Bluetooth transmitting devices. This progress will be the result of strategic partnering with supplier companies such as Unilode and SITAOnAir to guarantee 100 per cent traceability of all shipments – on a path moving towards an ‘Internet of Things’ connections platform.